Every now and again I wander into Lush and am greeted promptly by the pungent scent of countless bath bombs, soaps, lotions, and potions sprinkled around the store. The story is usually the same: I'll putter around for a few minutes, dipping into an assortment of tester items, sniffing my arm, then sniffing it again and again, until I realize once more that everything smells, well, identical, because the only thing I can truly smell is the scent of the shop itself. 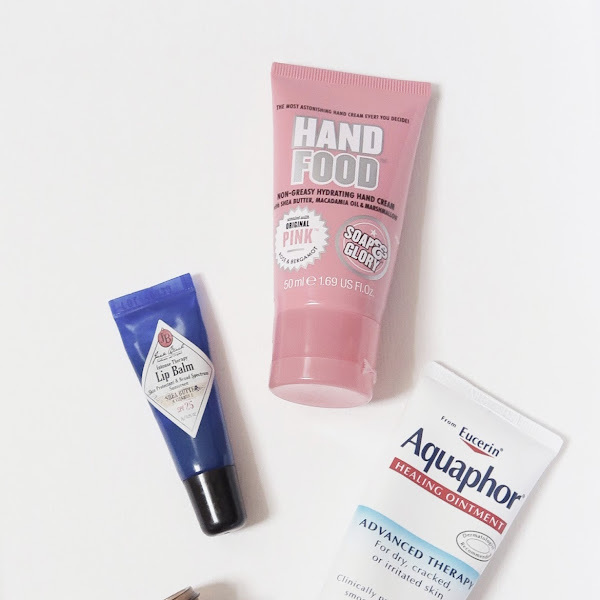 I tend to leave empty-handed, and once I return to the outside world, I am pleased to be able to actually smell the various creams I chose to smother on my arms that day. Lush and I have had an interesting relationship in the past--I truly want to love their products (and some of them, I do love; I'm a huge fan of Lush's Soak and Float Shampoo Bar and refuse to stop insisting that everyone ought to try it), but I haven't had the best of luck overall. I know some people swear by their skincare, but Lush and my temperamental face could never make friends. 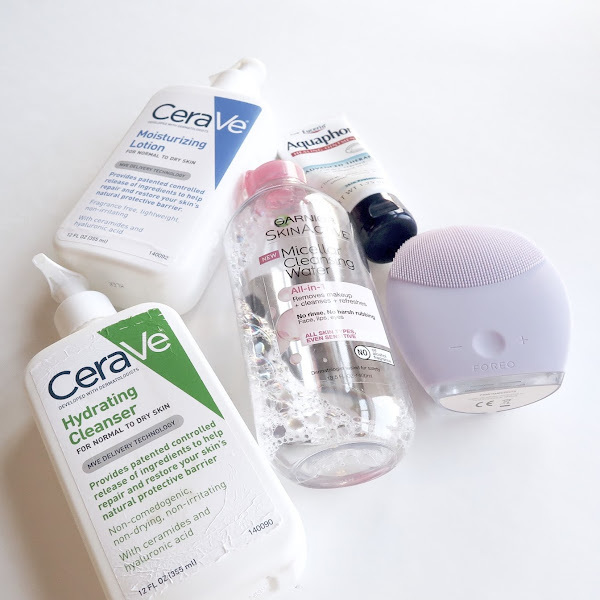 Even the products specifically targeted to those with sensitive skin seemed to cause flare-ups. So yes, blah blah blah, I've learned that Lush skincare isn't for me, but this post isn't about Lush's skincare items. 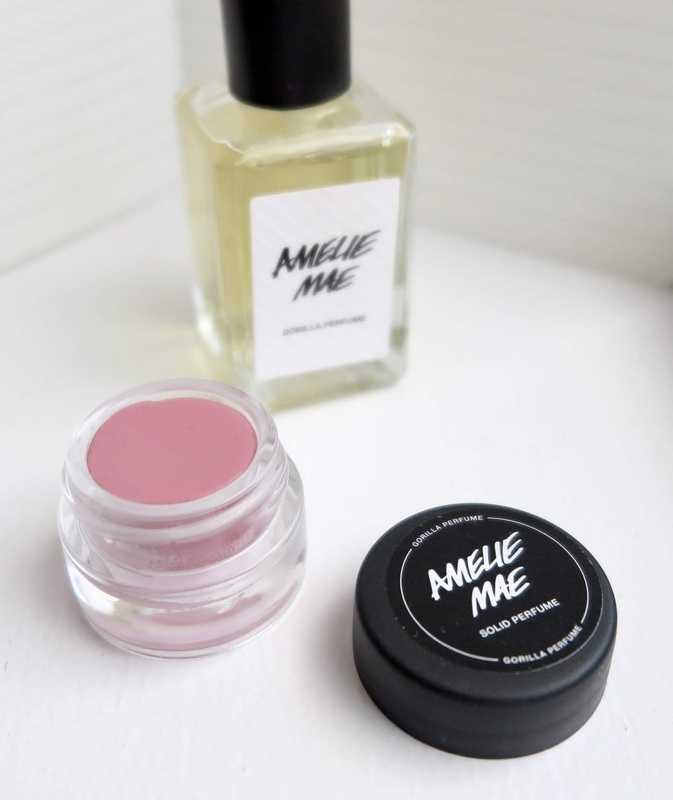 This post is about the day that I decided to meander over to the perfume shelf and rub my finger in various solid perfume pots and then onto my wrist, to discover that, surprise!, I couldn't smell anything I was applying. However, once I exited the shop that particular day and gave my wrist a sniff, I halted on the sidewalk and turned around to go back inside. "Take an inspired stroll through a perfume garden in full bloom. Breathe deeply and drink in a sugary bouquet of ylang ylang, rose and raspberry that calls to mind nostalgic summer days. Let this sweet, innocent perfume blossom into a candied, berry-tinged floral on your skin and see the world with renewed awe." That's a much better description--these kind of things should be left to the professionals. 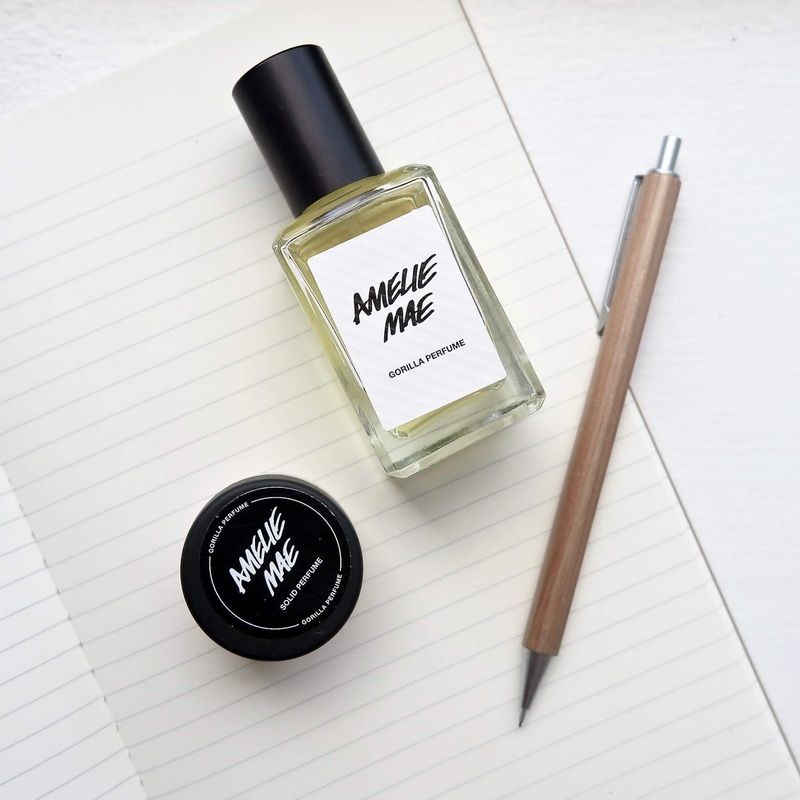 This scent is also available as a solid perfume, and these little pots are awesome to toss in a purse or school bag for use on-the-go. I will say, however, that the solid perfume doesn't have the greatest staying power. The perfume, on the other hand, wowza! A couple spritzes of this puppy in the morning and you'll good to go for the entire day, especially if you spray a bit on your clothes. My sweaters usually don't get washed after each wear, and they still smell like this fragrance days and days later. 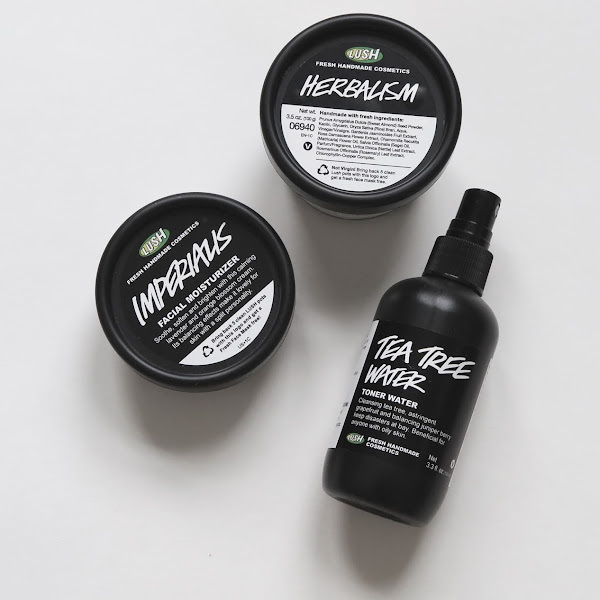 What has been your experience with Lush products? Any favorites that you'd suggest? I love this post because I love lush too! Can I just say how inc edible your photos are? Please could you check out my blog and support me by following it? You can do this by clicking on the blue follow button on the right hand side of my blog.